#NextWeeksNewBeats (Volume #6) – redleafgoldteeth. 1. Fort Minor – Remember Me: I just couldn’t leave out this week’s playlist without mentioning Fort Minor not only once, not twice, but three times. The first non hip-hop act I ever started listening to was Linkin Park. Over the years I followed their music, and when Fort Minor came out, what I heard from him was unbelievable (cause you don’t think of quality rap associated with rock bands). The first track, and probably my favourite song from Fort Minor is “Remember Me”. I first heard it when it was on the NBA Live 06′ soundtrack. This song is truly special to me because at the time when I played a lot of NBA, it inspired me to become passionate about two things that helped shape my identity: basketball and rap/hip-hop. 2. Fort Minor – Where’d You Go: What more can you say about this track? It’s just oneo f those tracks that really hits home when you are having one of those rainy days. The ball of emotions that run through the track are real, and really if you aren’t a fan of this song than you aren’t a fan of music, period. 3. Fort Minor – Welcome: This is the reason why I had to insert Mr. Fort Minor into the playlist this week. After his long 9-year hiatus following the release of his music video for “Where’d You Go”, he comes out of the bat cave to bless us rap fans with a new 2015 track. I’m literally jumping out of my seat while I type this out because I’m excited to hear more brilliant music from an awesome artist that is also part of one of the coolest rock bands ever. 4. Raury – Devil’s Whisper (KatManDu Remix)[Instrumental]: Ok, so I was actually trying to find the original to plug into this playlist, but I couldn’t find it on Soundcloud. Instead, I present you, the next best thing. Over the recent years I’ve been getting into instrumentals more and more. 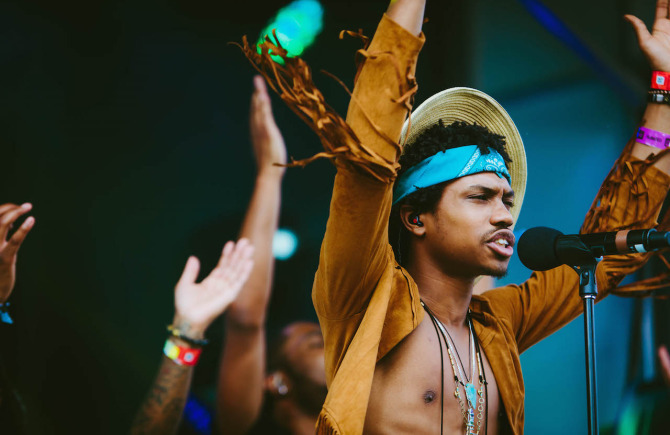 I’m going to admit, this is a pretty great remix of Raury’s “Devil’s Whisper”. I feel very focused, and relaxed by this track. I think that may be why I am starting to like vocal-less songs; they inspire in creative ways and allow the audience to be imaginative. 5. B.o.B – Smash It Ft. London Jae: My good ol’ pal B.o.B. After what has been seen as a dissapointment for Bobby Ray following his 2012 release of Strange Clouds, It doesn’t seem like B.o.B hasn’t caught any W’s ever since. Time and time his music output has been at most subpar, but this track might somewhat do some justice to his name. Collaborating with label mate London Jae (B.o.B started his own label, Label No Genre), they come together for an all right track that I might put on my summer playlist. Take a listen and tell me if you feel B.o.B is catching a W for this one. 6. 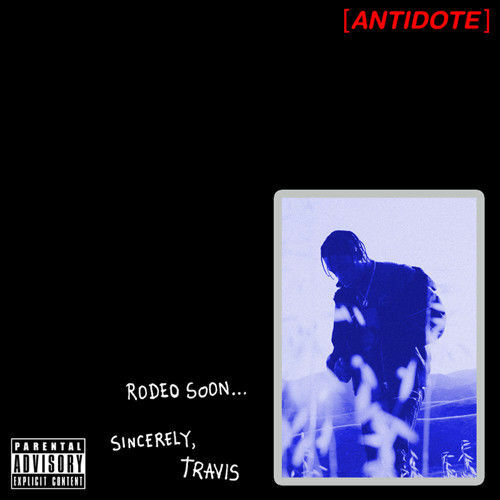 Travis Scott – Antidote: At but not least, you have to end the playlist with some major hype; which comes in a form that presents themselves as a G.O.O.D Music affiliate and turn-up connoisseur who’s name is Travis Scott. With some saying he’s biting hard off Rae Sremmurd on this one, this track still remains as a another turn’t track in Scott’s current catalogue. It’ll be cool to see how he performs this one on stage.